Here is your weekly round-up of crime across Midlothian, as reported by Police Scotland, for January 29 - February 5. On February 3, a man on an outstanding warrant was arrested at Newbattle Road, Dalkeith. He was held to appear at court on February 4. On February 3, funded MCAT officers on patrol in the area of Hardengreen Roundabout, Dalkeith, observed a damaged abandoned vehicle, and a male making off. The 18-year-old male was later traced, and found to be under the influence of alcohol. The male was charged and reported to the Procurator Fiscal. On February 4, officers recovered a quantity of cannabis in the possession of two 20-year-old males at Fuffets Road, Dalkeith. The males were charged, and a report has been submitted to the Procurator Fiscal. On January 31, officers recovered a quantity of controlled drugs in the possession of a 22-year-old man in the area of Hillside Crescent North, Gorebridge. The man was charged and reported to the Procurator Fiscal. On January 29, officers attended the report of an ongoing disturbance at Carlops Road, Penicuik. On attendance, a 34-year-old male was arrested and charged in relation to threatening and abusive behaviour. A report has been submitted to the Procurator Fiscal. 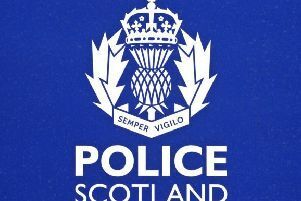 On January 30, officers on patrol in the area of John Street, Penicuik, observed a male driving a motorcycle whilst using a handheld mobile device. The vehicle was stopped, and the male charged, and reported to the Procurator Fiscal. On January 30, funded MCAT officers on patrol in the area of John Street, Penicuik, observed a vehicle driving erratically. The vehicle was stopped, and the 25-year-old male driver found to be without insurance. The vehicle was seized. The man was charged and reported to the Procurator Fiscal. On January 31, officers attended the report of a theft shoplifting at Edinburgh Road, Penicuik. Two 17-year-old males were charged in relation to this incident, and reported to the Procurator Fiscal. On January 31, officers on patrol in the area of Station Road, Roslin, observed a vehicle driving erratically. The vehicle was stopped and the 23-year-old male driver found to be without insurance, and the vehicle without a valid MOT certificate. The vehicle was seized, the driver charged and a report submitted to the Procurator Fiscal. On January 31, officers attended the report of an ongoing disturbance at Castlelaw Crescent, Bilston. On attendance, a 31-year-old man and a woman were arrested and charged in relation to in the incident. A report has been submitted to the Procurator Fiscal. On February 1, officers recovered a quantity of cannabis in the possession of a 19-year-old male at Dykes Road, Penicuik. The male was charged, and reported to the Procurator Fiscal. On February 4, officers on patrol in the area of Pomathorn Bank, Penicuik, observed a vehicle driving erratically. The 58-year-old female driver was found to be driving outwith the terms of her insurance. 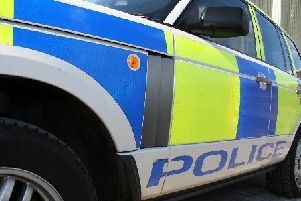 The vehicle was seized, and the woman was charged and reported to the Procurator Fiscal. On January 30, officers recovered a quantity of cannabis in the possession of a woman at Wadingburn Road, Loanhead. The woman was charged, and reported to the Procurator Fiscal. On February 5, officers on patrol in the area of Straiton Mains, Loanhead, observed a vehicle driving in an anti-social manner. The vehicle was stopped, and the driver charged and reported to the Procurator Fiscal. On January 30, officers arrested a 25-year-old man in breach of his bail conditions in Dalhousie Avenue, Bonnyrigg. He was charged and held to appear at court on January 31.